Before there was the current pool of talent shows on TV, there was one; Showtime At The Apollo. The hit series filmed at the Apollo Theatre in Harlem, NYC is now returning to television for a special hosted by Steve Harvey. The series is also being spear-headed by director Reginald Hudlin of Boomerang, and House Party. 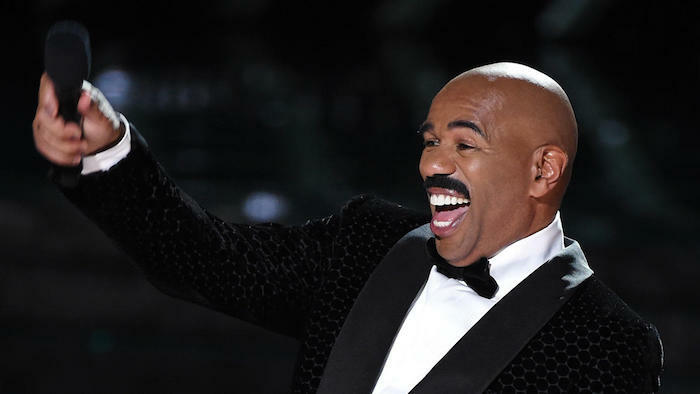 If you can recall Steve Harvey was once a former host of the series. Showtime At The Apollo is returning to television with a two-hour Fox special on December 5. The re-imagining of the long-running syndicated variety show will be hosted by Steve Harvey, the most in-demand emcee for the last few years. The comedian, who will be joined in the special by comedy and music stars, has a personal connection to the Apollo theater where he launched his career. He also will host a second, one-hour Showtime At The Apollo special to air on Fox in early 2017. Reginald Hudlin, writer-producer, former president of an entertainment for BET and producer of the 2016 Academy Awards, will executive produce and serve as showrunner. The show’s original executive producer and director, Don Weiner, will executive produce and direct the special.